You guys know that I don't do giveaways very often but to celebrate my one year blogging anniversary I knew I had to do something special....and Plaid agreed! So they're sponsoring a great giveaway! Confetti, Champagne, Fuchsia, Royal Blue, Aqua. 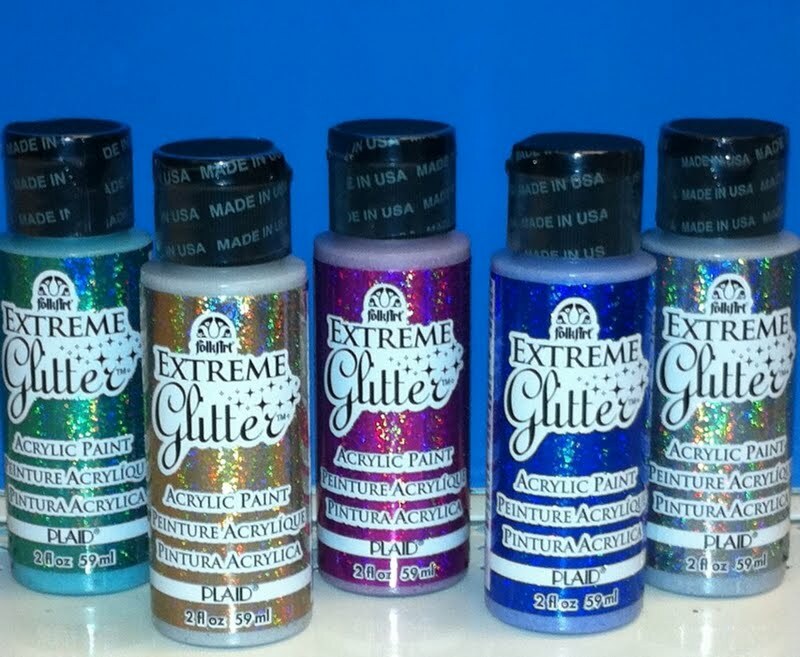 I'm so excited to feature their new Extreme Glitter FolkArt Paint Colours! Don't they look great? And you could win a prize pack that includes all five new colours you see above! Good luck everyone and thank you Plaid for this great giveaway! Hi Tamara. I am a follower. I like the idea of painting fabric. I am thinking fall placemats and tablerunners. I have family coming from out of town for thanksgiving dinner. I am a follower and fan. I was trying to find an email for you yesterday! I'm going to do a post on a copycat of a couple of your projects that I loved and wanted to let you know that I will provide links/ credit to you. I paint everything. So it could be anything! I think I would use the paint to stencil my daughter's tote bag for preschool. i'm a follower and i may be painting a little table with it ! I follow! What a fun giveaway! Thanks for the chance to win! Hmmm...so many options of what to paint. I'd probably start with some decorative wood or something, but that vase pictured above sure is inspiring. =) Tough decision! what a fun giveaway! I became a follower and love to win this cool glitter paint! I love glitter! If I had the chance to win, I would paint on fabric and many more things! You can never have enough sparkles! I think I might paint some small wood organizers or some canvas. Thank you, Tamara and Plaid, for this great giveaway! Please enter me in the giveaway. I'm a GFC follower. 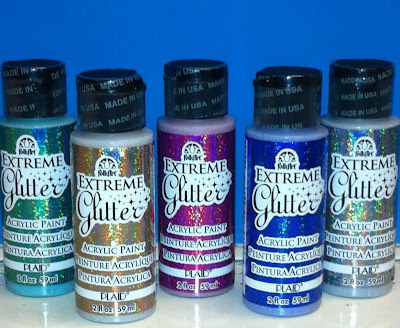 I would paint some glass jars and bottles with these pretty glitter paints. I'm a follower and absolutely love the ideas you provide that I can make with my limited resources. I live in Afghanistan and will go crazy painting anything I can to brighten & liven up the place a bit! We need color here! I might finally get the courage up to paint some fabric with this. The photo above looks so fun! Thanks for the giveaway. i will paint my two little kids new plain dresses using these paints if i win these. I'm going to stencil a wall hanging for my daughter! I would love to jazz up an ugly lamp with this paint! I'm a mixed media collage artist, so I have lots of projects I would use it for, specifcally one for my duaghter's room though.